Gorement could send a thank-you letter to Amorphis and the funeral doom movement for popularizing its riffs over the years, since despite a large amount of raw promise this release was never going anywhere. The Ending Quest is like a book of ideas, raw riffs of great potential floating in a background of poor ideas and randomness. Often reasons exist for why underground treasures never made it to the surface back in the day. In the case of The Ending Quest, the reason is that it is a boring and frustrating listen, for two reasons. The band does not know how to develop songs, and thus its greatest ideas either go nowhere or run somewhere pointless, and its songwriting duties seem divided between a genius at melodic riffs and a guy who likes to write chromatic skim fills to keep those riffs from getting ahead of themselves. Only two years after this album came out, a band named Skepticism took this aesthetic and brought it to a better place: crashing glacial riffs, slow bass-intense vocals, and a melodic basis. They dropped the death metal influences that required those melodic riffs to move quickly, and the guitar solos, which meant that they made their music in more of an ambient capacity. Gorement instead try to make death metal and so they piece it together, two boring riffs for every melodic sweet spot, and a sense of rhythm that often disconnects the needs of the riff from the needs of the song. Material of stunning insight, foresight and promise fills this disc. Many of these riffs are cognizable from the albums of bands that went on to more success, and some of these ideas far exceed the substitutes that came in their place. The unique low and slow bass-intense vocals were an innovation, as was the tendency — later exploited by bands like Amorphis, Dissection, Sentenced, Bolt Thrower and Sacramentum — to stitch a fast melodic lead over a vermicular riff and slow partial groove. Gorement also know how to create a dramatic transition through simultaneous tempo and riff shift. The problem is that so many of these riffs fall into predictable patterns, and so many of these songs fail to organize their elements into any expression, so we end up with the curse of all early death metal: the album of good riffs that goes nowhere. Our ex-editor Kontinual, who died suddenly of AIDS in 2010, wrote fondly of this band. But this is ultimately where we differ: death metal is propelled by structure, with each song forming a kind of “riff-poem” in which emotion is derived from how the riffs fit together, not the particular key and mode in which they are written. Riff-poems fail when they stop making sense, or when there is blathering nonsense that should have been edited out inserted just after a phrase of great profundity. 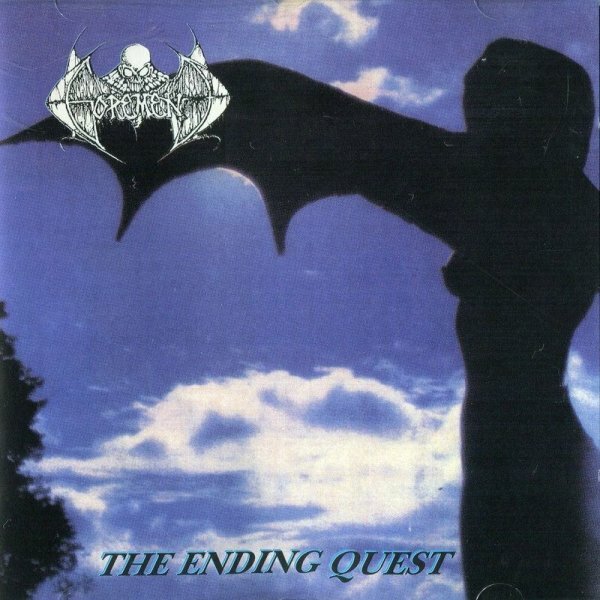 The Ending Quest inspired legions of bands and imitators, is partially responsible for the first “melodic doom” explosion that tried to make death metal for rock music fans with Tiamat and later Opeth, and clearly gave many bands a riff book to use in their own projects. But as a listening experience, it resembles a speech by a distracted professor: moments of brilliance, surrounded by confusion. What do you think of Dark Heresy’s “Abstract Principles Taken to Their Logical Extremes” album? Looked this one up for shits and giggles since I’d never heard it. Will have to listen to get a better idea of what I’m dealing with but first impressions are great composition and flow within and between songs, FULLY SICK guitar solos, weird absence of brutality and viciousness. Maybe it’s the concise writing and precise musicianship that takes it beyond the in-your-face speed metal feel and into the territory of Far Away From the Sun, where occultic prophecies are uttered to the searing virtuosity of musicians who are in danger of becoming slaves to their own sinister musical machinations (and this is territory that we want to explore). Subdued production and vocal delivery. Actually all-around I feel more of a black metal vibe due to the aspects described, but more simply it sounds like traditional death metal played by guys who don’t want to play “just” death metal. I always liked Kontinual. Their writing was always like a two by four to the face. I agree with this review. Fun fact: the original Gorement logo was actually the Gorefest logo with the f and s substituted. Maybe that explains why those blocky rhythmic and chromatic riffs seem out of place next to the melodies? Song 9 also seems to take a page from Gorefest with the verse riff. I also think the whole gothic “metal” trend was started by Paradise Lost’s 2nd album and then taken to more commercial extremes later by My Dying Bride and Anathema. Remember also that these goth rock/metal albums were released on the Music For Nations label which would later release Tool albums and were released before the Gorement and Tiamat albums. Kontinuual died of AIDS? huh? Does that mean he fell out with the staff or something? Nope, just means he died of AIDS. Same disease that killed Chuck, poor soul. Heh. Wondered about that too. He just disappeared a while back. Agree with most of this. I’d say a few songs on Karelian Isthmus have the same problem (of not adding up to much) though.